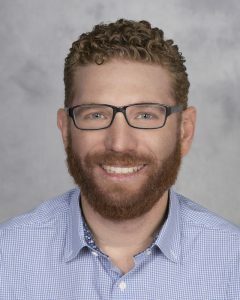 Brandon Seigel is targeting his business talent toward helping health practitioners in private practice, and at the same time filling a niche he recognized when helping a family member shore up a practice that was in a tailspin. Seigel recognized that, while health practitioners in a variety of healthcare roles are passionate about providing health and wellness in their communities, they aren’t often versed in the financial processes that will allow their private practices to prosper. Now, with his business Wellness Works Management Partners, Brandon manages multiple private practices and consults with entrepreneurs and health practitioners worldwide. He’s a frequent keynote speaker and trainer for organizations, associations and universities. His new book, “The Private Practice Survival Guide: A Journey to Unlock Your Freedom to Success“, covers the essential how-to questions of opening a successful private practice. We ask him about his entrepreneurial journey. Describe your professional background and how it led you to create Wellness Works Management Partners. My entire life I’ve been surrounded by entrepreneurs. I grew up with grandfathers that were successful entrepreneurs and raised me with the viewpoint that entrepreneurship is truly the American Dream. My paternal grandfather was a business professor, published author and serial entrepreneur, which gave me my roots in terms of the identification and execution of fixing business models. My maternal grandfather showed me a work ethic as an entrepreneur that prepared me for success in today’s environment, along with the sacrifices it takes to create change in a broken business system. After supporting entrepreneurs in different industries for many years, I entered the healthcare space by supporting my mother-in-law and her own private practice, which included an early intervention therapy program, an outpatient therapy clinic, a school-based therapy program and a home health agency. After witnessing her experience that resulted from putting her trust in others who took advantage of her generosity, I was fueled to invest my expertise in transforming the way care is delivered through effective business planning. After many years of supporting her practices internally, I took over leadership of operations for her and transformed the way that care was delivered. In addition to changing up the functionality of her business model, I reorganized her infrastructure and created new strategies related to workforce empowerment, clinical outcome tracking and aligning strategic goals to emphasize key performance indicators beyond financial metrics. This resulted in the practices becoming a leader in clinical quality within her region, along with empowering over 100 practitioners to find new ways to deliver optimum care while also optimizing everyone’s bottom line. The health and wellness of the patients, the employees and the financials all benefit because of how the restructured and reorganized systems, values and ethics were implemented. From this experience, I realized my calling in supporting purpose-driven entrepreneurs to scale private practices that were truly creating positive change in today’s challenging healthcare environment. After guest lecturing and speaking at conferences throughout the United States, I started getting consultation requests. Wellness Works Management Partners grew organically from a demand to have an ethical and purpose-driven partner support their entrepreneurial journey to delivering great care while optimizing their bottom line. What does Wellness Works Management Partners do? Wellness Works Management Partners supports health, wellness and education service-delivery entrepreneurs in building, scaling and managing private practices throughout the United States. We offer a full range of consultation and management services including human resources, recruitment, operations, technology implementation, metrics and clinical accountability measures, as well as workforce empowerment, culture redevelopment, strategic planning and leadership coaching. Last but certainly not least, we offer both onsite and remote consulting to transform the way care is delivered through a care-delivery redesign program. What’s an example of a common blunder that can cause healthcare practices to fail? One of the most common blunders that I see in today’s environment is how healthcare practices are ineffective in daily operations and suffer from a multitude of inefficiencies where the end result is that the patient experience is negative and clinical outcomes are impacted. From outdated systems to a lack of operations infrastructure, many private practices aren’t empowering their workforce to optimize their productivity and clinical effectiveness on a day-to-day basis. I help them create an operations system within their private practice around metrics, key performance indicators and workforce empowerment that drives efficiency in addition to providing a great clinical experience. In your new book, “The Private Practice Survival Guide“, you empower health practitioners with strategies for success. Can you describe one such strategy that often goes overlooked? One key strategy that I share is about building cash flow within their practice. One of the pieces that’s often overlooked is the value of running a cash flow-positive private practice. Practitioners get into contracts with insurance companies in order to “buy business” — meaning they’re fueling growth by signing contracts — but lose track of the cash flow for those contracts. One strategy that I’m a big believer in is ensuring that 60 percent of service delivery is 100 percent paid in 30 days or less. There’s not enough margin in this industry to run a practice that’s not cash flow-positive for at least 60 percent of its service delivery. How do you advise health practitioners with a passion for health and wellness to embrace a business-minded approach to their private practice? I think it’s essential to recognize that, in building a private practice with purpose and integrity, they’ve earned the opportunity to prosper. The key is to put patient care and ethics as a pinnacle responsibility, but build a business model that rewards the proper care in a prosperous way to achieve stability and success. As noted above, cash flow is king. More often then not, practitioners feel guilty focusing on the financials of their private practice, but then end up going into debt. By focusing on key financial strategies, they’re securing the stability of their practice, while also changing the world through effective care delivery. They have a fiscal responsibility for the risk they take and financial investment that they make. The key is to see the business model as a vehicle to help achieve success. The prosperity of the practice will open the door that will allow them to fulfill their passion. I advise practitioners to bring balance and create key performance indicators that align with both quality outcomes, patient experience and cash flow. Although they must embrace a business-minded approach, they must also be realistic that they didn’t get into this line of work for just the money. Therefore, purpose, passion and prosperity should all align together. What drives you to do this work? My purpose for empowering a greater tomorrow is what drives me to do my work. I believe in empowering those with great purpose to be successful entrepreneurs because we need great people changing the way we live! We have so much negativity in this world, and if I can empower an incredible, purpose-driven private practice to scale in today’s environment, then I’m a part of creating change for the better in our world.